Volunteer Services is an integral part of The Florida Department of Health in Duval County (DOH-Duval) that supports our ability to expand our resources to improve the quality of life and health of our community. DOH-Duval has exciting volunteer and internship opportunities available. Volunteers and interns work in partnership with employees at our health centers, dental clinics, administrative offices, or in the community. Follow the instructions below if you would like to volunteer or complete an internship. Volunteering benefits the community as well as the individual volunteering. It can transform the lives of those who give time and those who benefit from the volunteer’s time. Most important, volunteering at DOH-Duval extends the capability of the agency to provide education, clinical services, and support to community members and DOH-Duval team members. *Must have a placement confirmed within the agency to begin the background screening process. **Must pass background screening, mandatory training modules and attend orientation to volunteer with DOH-Duval. The Volunteer Services Office coordinates the placement of students from colleges and universities to complete their intern and externships. DOH-Duval has skills-based intern and externship opportunities available for undergraduate and graduate students. 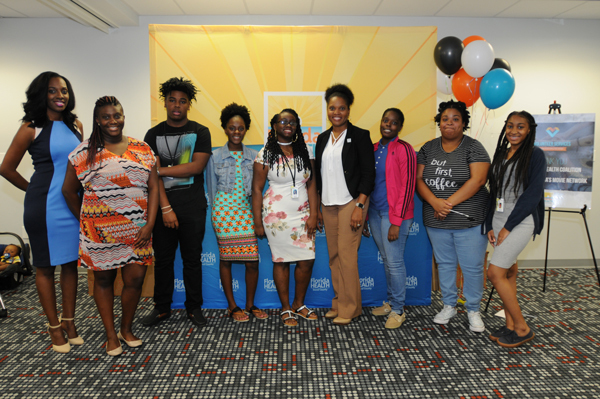 Completing an experience with DOH-Duval combines education with experience to best prepare students for their career after graduation. How can I complete an intern or externship? Note: A formal agreement has to be established with a college or university in order for student placement to occur. Currently DOH-Duval is not able to initiate new school/university agreements. Complete the Volunteer Enrollment Application and the Volunteer Background Screening Packet and submit them to the Volunteer Services Coordinator: DOH-Duval_Volunteers@flhealth.gov. Be sure to include your desired placement area(s). Once placement is confirmed, the Volunteer Coordinator will contact you to schedule your background screening to secure your placement at DOH-Duval. Available every Tuesday and Thursday 9:00 a.m. - Noon or 2:00 p.m. - 4:00 p.m. The Medical Reserve Corps is a national network of volunteers, organized locally to improve the health and safety of their communities. Members include healthcare professionals and logistical support personnel willing to volunteer their time and expertise in response to local natural or man-made disasters. Click here for more information or to volunteer or partner with the MRC.